Booking a ski vacation in the Sierra Nevada mountains means that you’ll be halfway between a snowboard free ride and a surf session. The Sierra Nevada mountains are located in the southern part of the country, a few hours drive from Costa del Sol and just across the sea from the fabulous surf beaches of Morocco. So get ready for plenty of fun and a tan that will make your friends green with envy. Arguably the most popular ski resort in Spain, La Molina has the double advantage of being situated in the scenic Catalan Pyrenees and very close to the exuberant Barcelona. For many Spanish skiers La Molina means tradition (it is the oldest ski resort in the country), but also a great variety of runs, from absolute beginner level to extreme ride (no less than 36 runs in total!). The mountain resort of Formigal offers a skiing experience which is very similar to the one in France or Switzerland. the altitude and latitude of the resort make skiing practicable from late September till April, and the wide accessibility of runs make this resort one of the best places where you can get initiated into the great art of skiing. Actually situated in the independent republic of Andorra, Soldeu is easily accessible from Spain and widely popular with European tourists. 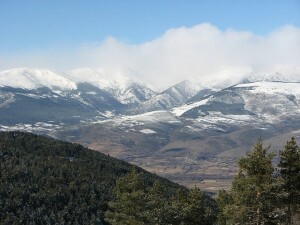 With its almost 200 kilometers of runs, Soldeu is a skiers’ paradise, and the fact that English is widely spoken here makes it a very international resort. 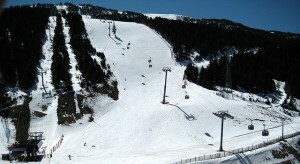 Just like its neighbor La Molina, Masella is located in the Catalan Pyrenees, a pleasure drive from Barcelona. The great attraction in this resort are the wild panoramas and the even wilder runs – which is why expert skiers usually prefer it to the more accessible La Molina.